Piyava thambali is an instant side dish for steamed rice normally served with fish fry any fried items. 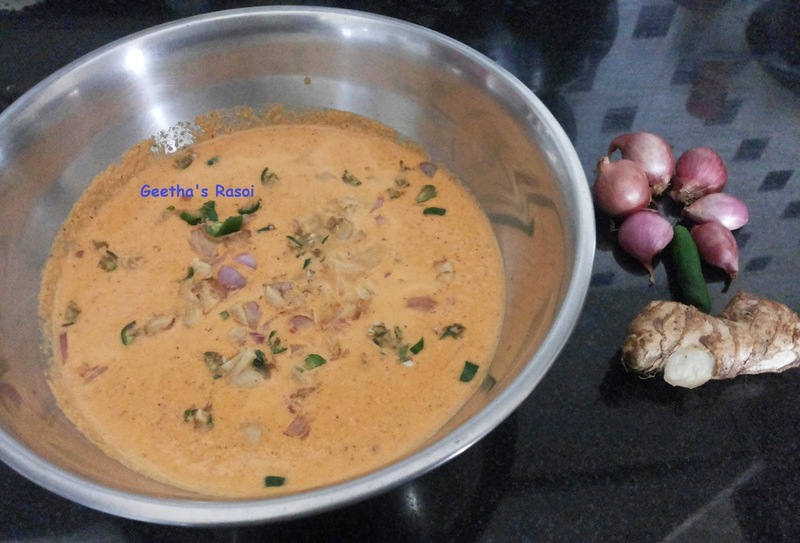 If grated coconut is ready this needs only less than 5 minutes to prepare. No need of heating so goes well with hot steaming rice and can’t keep for long time. Grind grated coconut, red chilly and tamarind into fine paste. Transfer this into bowl add salt and ½ cup of water and make gravy. Then add chopped onion, ginger, green chilly and coconut oil mix well. Keep aside for 10 min.